From Goodreads ~ Defense lawyer Andy Carpenter is reluctant to take on any more cases. He'd much rather spend his time working for his dog rescue organization, the Tara Foundation, than find himself back in a courtroom. However, when a truck carrying over seventy dogs from the South to the rescue-friendly northeast turns up with a murdered driver, Andy can't help but get involved. Of course, Andy is eager to help the dogs, many of whom come to the Tara Foundation while awaiting forever homes - it's the man accused of murder who he has a problem defending. The accused just happens to be his wife, Laurie's ex-fiance; her tall, good looking, ex-Marine ex-fiance. Even though he acknowledges having argued with the victim, he swears that he is not a killer and, though he would rather not, Andy has to admit he believes he's telling the truth. Andy is a criminal defense lawyer who doesn't want any clients. Because of the money his father left him, he is able to not work and spend his time with his friend, Willie, running the Tara Foundation, a dog rescue that he and Willie formed. He is married to Laurie and they have an adopted young son, Ricky, so he is enjoying his life. But when Dave, an ex-boyfriend of Laurie's, is arrested for murdering a truck driver, Andy can't say no, despite not wanting to defend him. Dave doesn't deny killing Zimmer. They'd had a past history and Zimmer had wanted to meet up in a parking lot as he was passing through town. Dave said he killed Zimmer in self-defense ... but the evidence proves otherwise. As Andy investigates, he discovers a much more complex situation than he thought and he has to convince the jurors. Meanwhile, Zimmer was on his way to deliver a lot of dogs to a rescue. Andy and Willie take the dogs in and keep them at the Tara Foundation until they can find out which rescue. 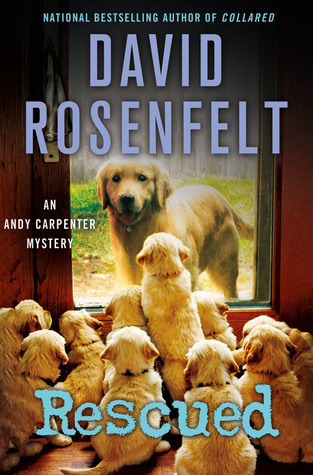 This is the seventeenth in the Andy Carpenter series (I've read them all). I enjoyed this book and am really enjoying this series. I find with most series that by the time an author has come this far, the series isn't good and the author is pounding out the books just to get a paycheque. That's not the case with this series ... the author is able to keep this series fresh and fun. The story was interesting and there were some twists and turns along the way. Even though it is part of a series, it works as a stand alone (so you don't need to have read the ones before it to know what is going on). I like the writing style of this author as it was funny, sarcastic and amusing. It was written mostly in first person perspective in Andy's voice but is sometimes in third person perspective when the focus is on the bad guys. I like Andy ... I think he would be a hoot to be around and he's quite generous with his time and money (his two best friends continue to take advantage of his tab at their favourite bar). He loves his dog, Tara, and thinks she's the best dog in the world. He also has another less lively dog named Sebastian who came with Ricky. Part of Andy's team is Laurie, his wife and former police officer and now his investigator. Hike is his associate who is the most depressed and pessimistic person ever. Marcus, an investigator with persuasive reasoning skills, continues to provide protection when it's most needed (which is often since Andy is a self-professed coward). Sam is his accountant who is also a computer hack leading a team of elderly hackers. The Toronto Wolfpack RLFC is a Canadian professional rugby league club, based in here Toronto, which competes in the British Rugby Football League system. In 2018 the club is competing in the Championship, having begun to play in 2017 in League 1 and won a promotion in its inaugural season. The club is noted as being the first North American team to play in the Rugby Football League system, the first fully professional rugby league team in Canada and the world's first transatlantic rugby league team. 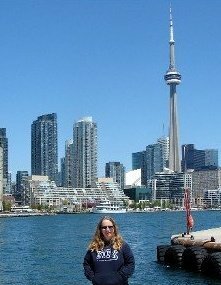 Their home stadium is Lamport Stadium (aka "The Den"), which is just a couple blocks from where we live. It was a hot humid day. Usually we're not allowed to bring water in to Lamport Stadium but today we were encouraged to. We sat on the top row on the west side of the stadium out of the sun ... many had the same idea. You could buy Wolfpack gear at the store across the street or in the beer garden. Jefferson, the Wolfpack mascot, worked the crowd. Gord and I were due for pedicures and went to Posh & Polish'd Nail Salon Spa (Dovercourt Road/Queen Street W) this afternoon. They opened a couple months ago and are in our 'hood. Gord checked them out last month and said it was a nice experience. There were lots of colours to choose from for polish. From Goodreads ~ Mallory hopes to unveil her new B&B just in time for her first ceremony as a wedding planner. The renovations to Thistle Park, the mansion she inherited in small-town Port Quincy, Pennsylvania, are almost complete. But what Mallory didn't plan on is the bride's aunt being poisoned at the wedding tasting and her perfect venue becoming a crime scene. Adding to the mystery is the discovery that this is not the first murder in the bridal family and, as Mallory becomes engaged in her own investigation, she learns the man convicted of the crime may not be guilty. Now she has two crimes to solve before the bride walks down the aisle but a killer has other plans to ensure that Mallory forever holds her peace. Mallory is a former lawyer. She had recently inherited a mansion from Sylvia, her almost grandmother-in-law. Mallory had been engaged to Sylvia's grandson, Keith, but broke it off when she discovered he was cheating. Around this time, Sylvia passed away and left Mallory her rundown mansion and land. Needless to say, Keith and his mother, Helene, were not pleased but Mallory and her sister, Rachel, saw the potential of turning it into a B 'n B and a place to hold weddings and has been working to make that happen. Mallory's first wedding is scheduled in the fall. When the bride's aunt is murdered during a tasting and it's discovered the man who was convicted of killing her mother 20 years ago may be innocent, the bride is determined to carry on. And it appears that Mallory's house is haunted by Sylvia's mother. And if Mallory doesn't get the necessary approvals from the city, the wedding and Mallory's business aren't going to happen. 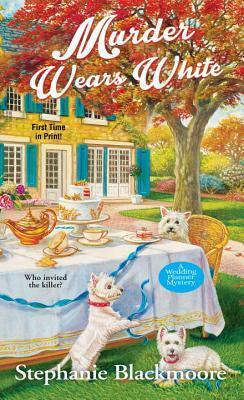 This is the second in the Wedding Planner Mystery series and I liked it (I read the first one last week). You don't need to have read the first one as this one works well as a stand alone (there is enough background information provided). I liked the writing style ... it is written in first person perspective from Mallory's point of view. I thought the story was interesting and there were lots of people who could have "dunnit" ... there were actually a few "whodunnits". It kept me guessing until the end. There are recipes at the end which sound delicious. I look forward to reading others in this series and by this author. From Goodreads ~ The long-awaited memoir from a counterculture legend. Cheech Marin came of age at an interesting time in America and became a self-made counterculture legend with his other half, Tommy Chong. 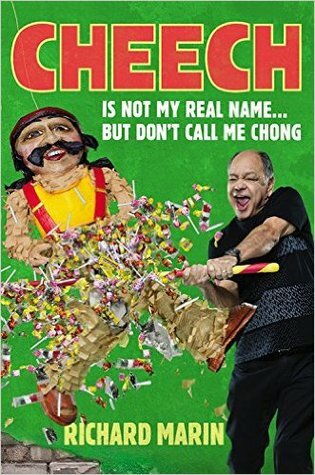 This insightful memoir delves into how Cheech dodged the draft, formed one of the most successful comedy duos of all time, became the face of the recreational drug movement with the film Up in Smoke, forged a successful solo career with roles in The Lion King and, more recently, Jane the Virgin, and became the owner of the most renowned collection of Chicano art in the world. Written in Cheech's uniquely hilarious voice, this memoir will take you to new highs. Richard "Cheech" Marin is 71 and is an American stand-up comedian, actor, voice actor, writer and activist. He was known in the 1970s and early 1980s as part of the comedy act, Cheech & Chong, with Tommy Chong. He was Don Johnson's partner, Inspector Joe Dominguez, on Nash Bridges. He has also voiced characters in several Disney films, including Oliver & Company, The Lion King, the Cars series, Coco and Beverly Hills Chihuahua. I like reading bios/autobios and thought his would be interesting. This is Cheech's story starting with his childhood (his father was police officer). Dodging the draft during the Vietnam War, he headed to Alberta to work with pottery and lived in a cabin in the mountains. He moved to Vancouver, BC, where he met Tommy Chong and stared working for him in his club. They eventually formed a comedy group and made movies and records. After he and Chong split up, Cheech had success as an actor, voice actor and Chicano Art connoisseur among another things. He's had many experiences and it sounds like he's had lots of fun along the way. He's been married three times (currently married to Natasha Rubin) and is the father of three. Cheech seems like a cool guy so that's what attracted me to his story. I haven't seen his later stuff but who hasn't seen a Cheech & Chong movie or heard their records?! I liked the writing style and found Cheech's story interesting. He was honest in talking about his life and it was fun to get a behind-the-scenes look at all he'd done. As a head's up, there is swearing. I had lunch today at Mermaid Fish and Grill House, which is on St. Clair Avenue E, just east of Yonge. The sign outside advertising shawarmas had caught my eye so I went in. Gord, Trish and I saw Ocean's Eight this evening. We had supper beforehand at Blaze Pizza (at Yonge Street/Dundas Street E) beforehand. We've been there before and like it. My home away from home last night in Winnipeg was the Best Western Plus Pembina Inn & Suites. I stayed here the last time I was in Winnipeg. I had supper this evening at Pony Corral Restaurant & Bar on Pembina Highway. It's a nice night and I'd read that they had a patio that overlooks the river. I have client meetings tomorrow in Winnipeg and flew here this afternoon. I had some time before I could check into my hotel so I spent it at the Assiniboine Park Zoo, which was established in 1904. It's not a large zoo so I was able to see most of it. It was a warm sunny day so it was nice to walk around. In addition to animals, birds, etc., there are also some exhibits teaching interesting information. I flew to Winnipeg this morning and had an early lunch at Boccone Trattoria Veloce, my go-to restaurant at the airport, before my flight. From Goodreads ~ All appears peaceful in sleepy Port Quincy, Pennsylvania - but in this small town, old grudges die hard. After dumping her cheating fiancé and cancelling the wedding, Mallory Shepard can't bear another disaster. So when the former bride-to-be unexpectedly inherits Thistle Park, a ramshackle mansion in her ex's hometown of Port Quincy, it's a problem she can't afford - literally. Abound with stray cats, peeling wallpaper and nosy neighbors, Mallory is dying to sell it off - once she finally fixes up both the place and her messy life. Turns out, Thistle Park has its charms. But the honeymoon phase is abruptly cut short when an unwanted visitor is found dead on the front lawn. Enlisting the help of her sister Rachel, Mallory vows to unveil the killer before she herself becomes married to the suspect list. Mallory, a lawyer, is engaged to Keith, a lawyer. Three weeks away from their wedding she discovers he has been cheating on her and she breaks up with him. Sylvia, Keith's grandmother, passes away unexpectedly and leaves Mallory her rundown mansion and land. Needless to say, Keith and his mother, Helene, are not pleased and do what they can to get this reversed. Mallory and her free spirit sister, Rachel, move into the house (they have nowhere else to go). They have dreams of turning it into a B 'n B and a place to hold weddings but they can't afford to make the repairs so Mallory considers selling. A fracking company offers to buy it from her but this goes against Sylvia's wishes. Then the rep is found murdered in Mallory's front yard and there are a number of people who had wanted him dead. There are rumours there are valuable paintings hidden in the house. If Mallory can find them, she can afford to fix up the house and fulfill her dreams. But she's not the only one looking for them. If it's just a rumour, she has no choice but to sell to whoever will buy. 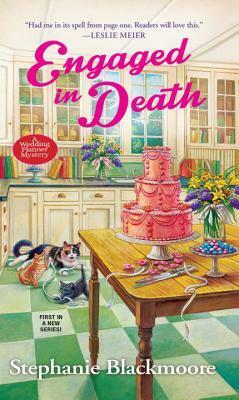 This is the first in the Wedding Planner Mystery series and I liked it (plus I like finding series). I liked the writing style ... it is written in first person perspective from Mallory's point of view. I thought the story was interesting and there were lots of people who could have "dunnit". It kept me guessing until the end. The editing could have been better, though, as there were typos. There are recipes at the end which sound delicious. It was raining when we walked over to the game. But the rain stopped before the game started and the skies started to clear a bit. The Wolfpack get instruction before the game. The Wolfpack Cheerleaders entertained before the game. Here come the Wolfpack players! From Goodreads ~ Dogs can be boisterous, obedient, loyal, and downright lazy! This book, which brings together stories, tips, trivia, quotations, and poetry celebrating all the fascinating features of the dog, is for anyone whose tail starts wagging at the thought of relaxing with a good read and a warm, cuddly canine at their feet. I love reading books about animals and that's why this book caught my eye. Plus how could I resist the picture of the dog on the cover?! This book was a quick read. 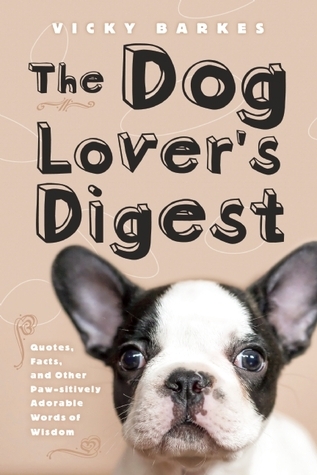 It's full of bite-size stories, quotes and information about dogs along with beautiful colour pictures. The topics include the history of dogs, pedigree peculiarities, literary pups, pub dogs, prime-time pooches, royal dogs, working woofers, rover to the rescue, dogs of war, hound horoscopes, naming your dog, along with resources (websites, publications and organizations) at the end.